Transition is an opportunity for artists to use the gallery space to consider how a series of works is developing or to try out ideas for an installation or interactive project. Each artist is given a weeklong slot in either the lower or upper gallery, with a total of eight projects over the four weeks. Throughout their week the artists re-evaluate their work and respond to visitors’ comments. Each project is in a constant state of flux, without the constraints of a finalised exhibition. Since the first Transition in 2000, more than 150 artists have taken part and benefited from the opportunity it offers. 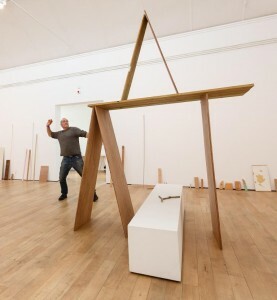 Transition remains unique to Newlyn Art Gallery, and has become a vital part of the programme, gaining national acclaim. Frame: Using a selection of 20 found images from printed media, ’Frame’ is a participatory, image-based investigation into how we read and interpret images and visual language. A dynamic installation exploring the perception of time through movement and change, filming the process and allowing members of the public to view and discuss the project as a performance. A Cornish Expedition: An interdisciplinary and curious journey, which is both a voyage around a studio and the Cornish coastline; weaving narratives and objects, to investigate themes. Welcoming assistance from gallery visitors, James will be experimenting with the placement of hundreds of small mirrors to create, reveal and question the potential of focal points. Irreducible Particularity: Testing an experimental and process-based working method, Jo will gather together signifiers and artefacts of everyday life to create an evolving site-specific assemblage. Using the space as a studio, Sam will work with visitors through discussion and direction to construct new pieces, using a variety of mediums. An English Pilgrimage: A wooden hermitage, constructed from flotsam found along St Michael’s Way, will become a site for poetic and book-bound reflections on a series of walks. This project will explore and negotiate an understanding of the hidden world of the feminine principle through paintings, drawings, sculpture, film, writing, talks, workshops and music. Each Friday morning at 11am in The Studio Café, Newlyn Art Gallery (19th & 26th February and 4th & 11th March). Join the week’s artists and curator Blair Todd as they discuss the progress of their residency. Free, no booking required, just turn up. 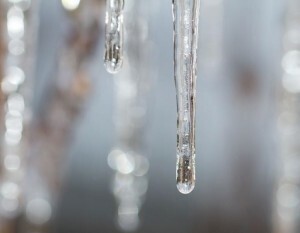 Property damage caused by the escape of water from frozen pipes and other equipment can be extremely costly in both repairs and disruption to business. We focus on the practical steps that can help reduce the risk of damage. Ensure that all areas containing pipes and water storage tanks are heated to prevent freezing. Heating should be thermostatically controlled to maintain a minimum temperature. Fuel supplies and any associated equipment should be periodically tested and maintained. This is particularly critical where “interruptible” gas supplies are used. Pipes should be lagged to delay the temperature drop. Use 32mm thick good quality, non-combustible lagging securely fixed to all piping including expansion pipes. Tanks should be lagged around and over, but not underneath so that heat from below can rise. Minimise pipe-runs outside, or in areas exposed to winds. Wet pipe sprinkler systems should be avoided where the temperature cannot be kept above 4°C, the use of alternate or dry pipe systems should be considered. Tenants, managers and agents should know the location of all stopcocks inside the premises as well as the main incoming valve in the street. The stopcocks should be periodically exercised to ensure that they are in working order. Someone should be responsible for any sprinkler system, its water supply and pump room. Ensure that buildings are inspected to identify frozen or leaking pipes at an early stage. Review and update emergency contact procedures. Isolate the pipe by closing the stopcock on the feed from the tank or main. Expect a thawed pipe to leak water, so protect items beneath it. Do not use blow torches, hot air paint strippers or naked flames. Use hot water bottles or a hair dryer. The precautions described previously apply equally to common and unoccupied areas. These can be particularly vulnerable as problems may not be identified until damage has occurred. Regular inspections of these areas should be carried out before and during cold weather. If a tenant is still responsible for an unoccupied area ensure that they are inspecting these and taking the precautions described above. Consider provision of heating to any unheated portions of the building if they may be vulnerable. The use of minimum and maximum thermometers can give an indication of potential problems. Please check your policy wording for any specific requirements that need to be adhered to when your property is unoccupied. If in doubt, please contact us on 01736 360808. The Great Big Cornish Gig Project has been set up to engage Armed Forces Wounded Injured and Sick Serving (WISS) Personnel and Veterans in the construction of a Cornish pilot gig. They will be trained in boatbuilding skills, build a gig and ultimately row their gig to the Scillies where it will be donated to the “Help for Heroes” gig team to race in the 2016 World Pilot Gig Championships. The project is funded by the Armed Forces Community Covenant Grant scheme and the National Maritime Museum, Cornwall and will help personnel make the transition from service life to civilian life. 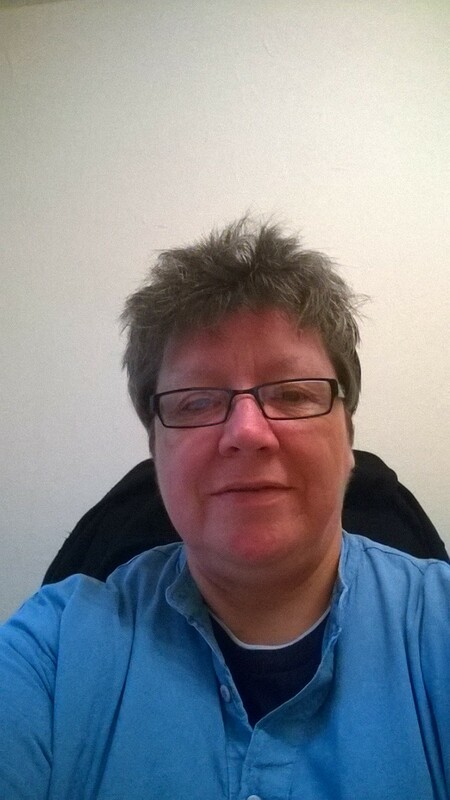 Training is adapted to various levels of disability and the customised in-house programme means that many can achieve an NVQ vocational qualification. 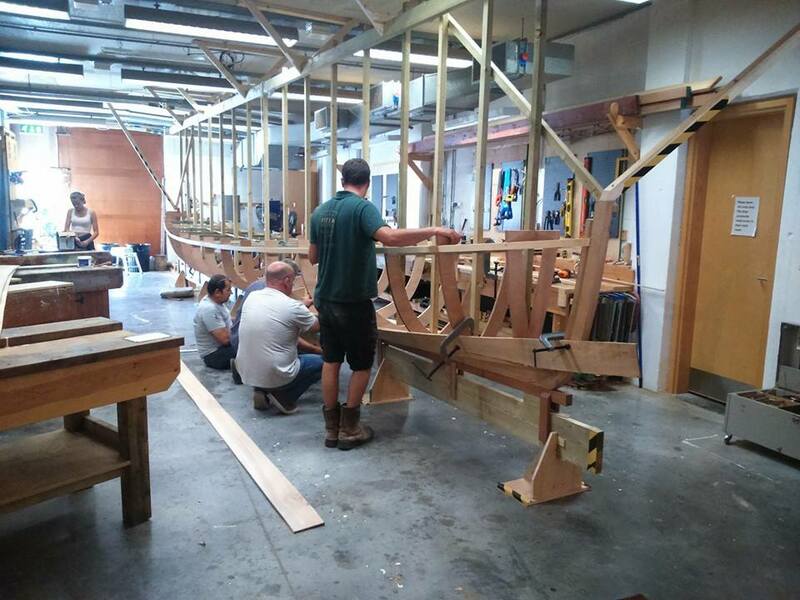 Construction of the gig is taking place in the National Maritime Museum workshop gallery with professional boat builder Andrew Nancarrow. There are plenty of construction components and tasks to be undertaken and the project consists of three workshop days a week plus one day for a programme of offsite waterborne activity. The “EPIC ROW” from Falmouth to St Marys on the Isles of Scilly will start in Falmouth in 2016 and visit many of Cornwall’s Gig clubs on their way around the coast before finally reaching their destination and donating the Gig to the “Help for Heroes” gig team. The “Help for Heroes” team will race the gig in the World Pilot Gig Championships. You can follow the progress of the project on Facebook. By braving the shave you’ll be standing proudly alongside men and women with cancer whilst raising money so Macmillan Cancer Support can help people take control back from cancer. We know that cancer can turn the world upside down and that’s especially true when it comes to appearance. Men and women with cancer go through hair loss and changes to their appearance that can affect everything from the way they look, to how they feel. So when they need someone to turn to, Macmillan is here. Right from the moment of diagnosis, through treatment and beyond, we’re here to give people the energy and inspiration to take back control of their life. Every penny you raise will help us give people with cancer and their families the specialised support they need, when they need it most. 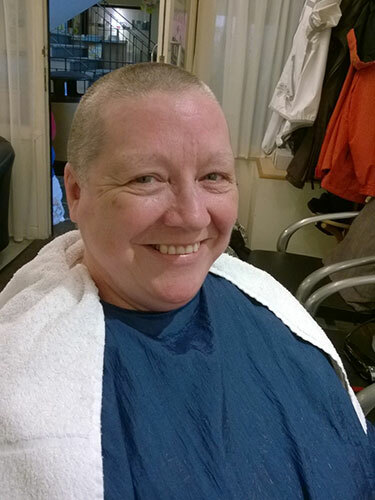 The shave took place on Wednesday 19 August 2015 at “Beyond the Fringe”, Camelot Court, Penzance who kindly donated their services for free. Penzance literary Festival takes place between the 8th and 11th of July 2015 at a variety of locations in Penzance, including the Acorn Theatre, Penlee House, Morrab Library and the Edge of the World bookshop. This year’s festival theme is SPARKS and there really is a packed programme of events featuring authors and writers such as Tony Hawks, Patrick Gale, Ian Whybrow and Philip Marsden. Paul Dodgson is an award winning writer and producer who spent 18 months as part of the “Eastenders” writing team. He wrote “Monsters We Met” for BBC 2 and has written numerous plays for BBC Radio 4. This workshop explores the mechanics of writing for performance on stage, on screen or on the radio. With exercises and examples, discover what happens when your words make the transition from page to stage. You will develop ideas, work on scenes and create monologues that are be shared and performed by the group in a mutually supportive atmosphere. Author and filmmaker Paul Glynn discusses ‘King Bruno’, the astonishing true story of a chimpanzee raised by humans in the jungles of Sierra Leone. The comedian and author talks to Jak Stringer about his latest book, Once Upon a Time in the West … Country, a comic memoir of his attempts to get to grips with rural life after abandoning London and buying a cottage in Devon, where, not content with becoming chair of the village hall committee, he also accepts a challenge to pedal across the county carrying a miniature pig called Titch. Fancy yourself as a Lit Quiz Whiz? Start sharpening those pencils and get ready to pit your Lit Wits against some fierce opposition. Chaired by Patrick Gale, the Big Lit Quiz is back, and it’s bigger and better than ever – with loads of fabulous spot prizes and a prize pot for the lucky winners. Find up to three other people to form a team – or make a team when you get here. Win or lose, a great night out is guaranteed. It’s in a good cause too. This year we shall be supporting the excellent work of the RNIB Library Service. In Search of the Miraculous is an exhibition of international artists, inspired by and marking the 40th anniversary of the voyage made by Dutch artist Bas Jan Ader, who set sail alone in July 1975 in a 12½ foot dinghy Ocean Wave from Massachusetts to cross the Atlantic to Falmouth, Cornwall, disappearing en route. In Search of the Miraculous includes artists who have not necessarily taken direct influence from Bas Jan Ader but have made works that have a yearning for the sublime, a playful pursuit for new experiences and journeys, or a romantic contemplation of the sea and what may lie beyond the horizon. The exhibition is primarily photography and film and includes Francis Alys, Game Over, Chris Burden, Ghost Ship, Mat Collishaw, Blind Date, Simon Faithfull, 0.00 Navigation, Andrew Friend, Device for Experiencing Lightning Strike, Gunnar Jónsson, Hringsól, Antti Laitinen, Its My Island, Jessica Ramm, Listening Beyond The Horizon, and Guido van der Werve, Nummer Acht:Everything is going to be alright. Matt Collishaw made a blindfolded trip from London to Madrid to view Velasquez’s painting Las Meninas for exactly three minutes, then returned blindfolded (Blind Date, 2000, video projection). Francis Alÿs made the decision to drive an old VW Beetle into a tree, commenting afterwards “… in that lapse of those final 65–50–35–20–10 feet, the absurdity of the human condition became so glaring to me, so absolute.” (Game Over, 2011, video). Jessica Ramm’s Listening Beyond the Horizon is a search for the unknown; a solitary figure perched in a gothic mountainscape, (2013, photo etching on zinc plate). Simon Faithfull’s journey obsessively follows the meridian as the only possible path; fences climbed, properties crossed, streams waded, hedges crawled through till he re-enters the sea continuing north (0.00 Navigation, 2009, video), while Gunnar Jónsson directed a fishing boat to circle seemingly endlessly in the sea; utterly futile but mesmerizingly beautiful (Hringsól, 2012,video). Guido van der Werve’s Nummer Acht: Everything is going to be alright (2007, 16mm to HD video) shows the artist striding ahead of an icebreaker like a 21st century version of Caspar David Friedrich’s intrepid explorers in the painting The Sea of Ice (Das Eismeer). Andrew Friend, like 19th-century scientists who physically put themselves at risk exploring the power of nature, created a Device for Experiencing Lightning Strike which he set up on a Cumbrian mountain (2010, photograph). 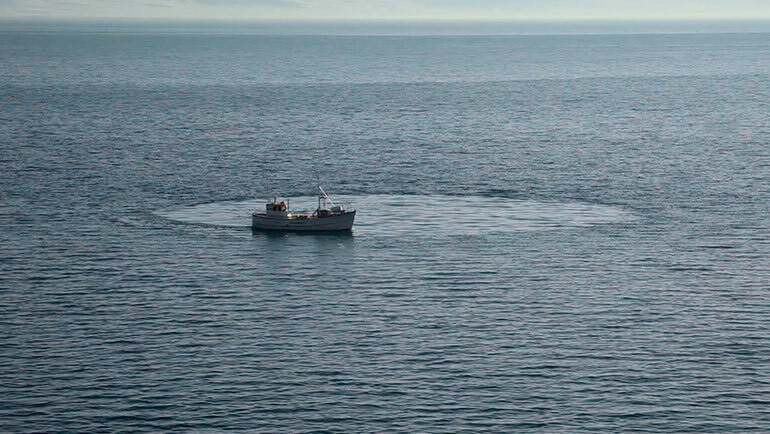 Chris Burden took the concept of the solo yachtsman to the extreme level with a crewless, self-navigating sailing boat that took to the seas utterly alone (Ghost Ship, 2005, video and documentation). Antti Laitinen playfully set out to sea on his own primitive vessel (Bark Boat, 2008, photograph) and created his own island (It’s My Island, 2008, videos on 3 monitors). In Search of the Miraculous is at Newlyn Art Gallery 27th June – 19th September 2015. Throughout the summer In Search of the Miraculous will provide inspiration for a variety of poets, musicians and performers in a number of public events. As part of the exhibition, a flotilla of small vessels with an eclectic crew of experienced skippers with artists and young people, many who may never have been to sea before, will make a day’s sail from Newlyn to Falmouth. For further details please visit Newlyn Art Gallery or telephone 01736 363715. There was glorious sunshine in Penzance this morning as, in a change of route from previous years due to St John’s Hall undergoing extensive refurbishment, the St Piran’s Day Parade got underway from the top of Causewayhead. Led by Penzance Mayor, David Nebesnuick and Cornish Grand Bard, Maureen Fuller, the parade, which included various dignitaries and hundreds of schoolchildren from the local area, wound its way from Causewayhead to Market Place and then onto Morrab Gardens. 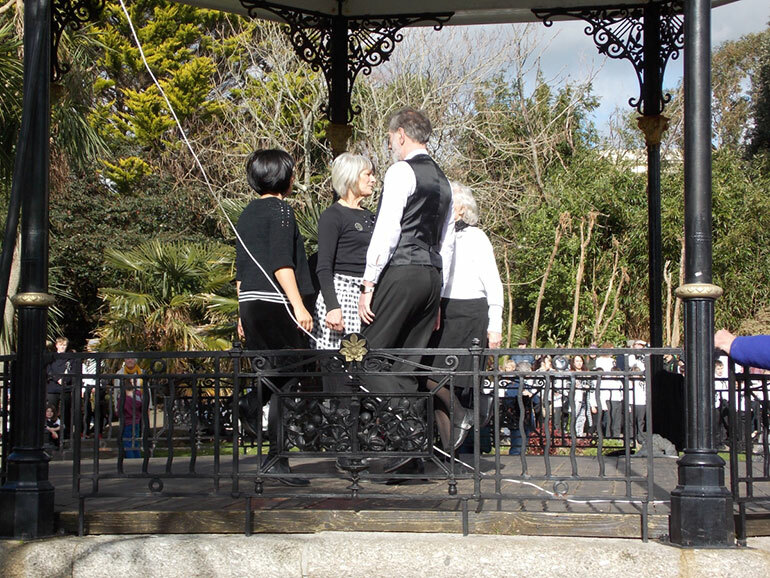 Music from the Golowan Band and Newlyn School amongst others added to the tremendous atmosphere and, once everyone had gathered in Morrab Gardens, the Penzance Guize Dancers performed a traditional Cornish dance on the bandstand. 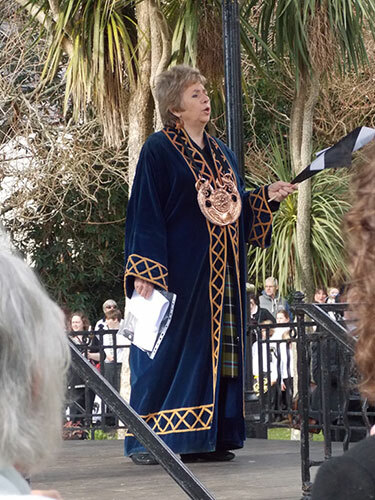 Following an introduction from David Nebesnuick, Cornish Grand Bard, Maureen Fuller gave a rousing speech to the assembled masses. From the obvious delight at Cornwall achieving minority status to the uncovering of St Piran’s Oratory, Ms Fuller’s speech also noted the Gorsedh Kernow “Do Something for Cornwall” Challenge. The challenge is about using your skills to help others – for example, raising money for a Cornish charity. Events in Morrab Garden drew to a close with the singing of “Trelawney” before the parade started back to the centre of town. You can learn more about Gorsedh Kernow and the “Do Something for Cornwall” Challenge by visiting the Gorsedh Kernow website. 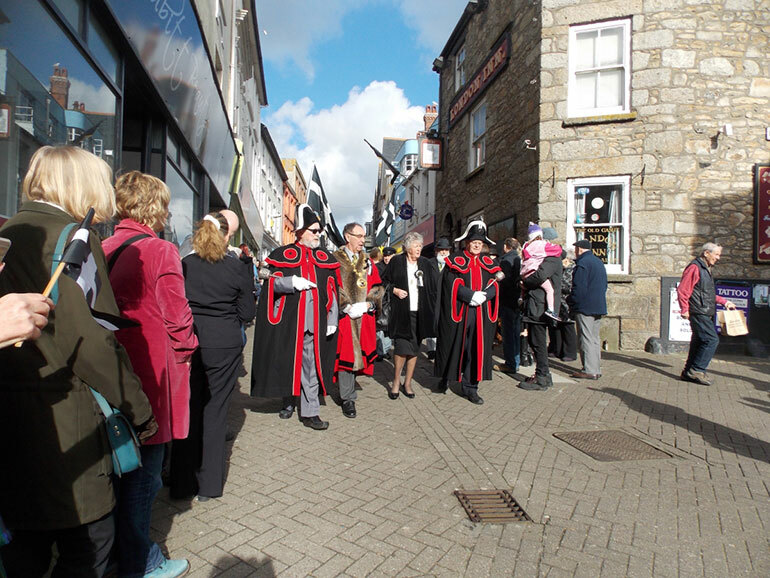 To see more photos from the 2015 St Piran’s Day in Penzance please visit our Facebook Gallery. 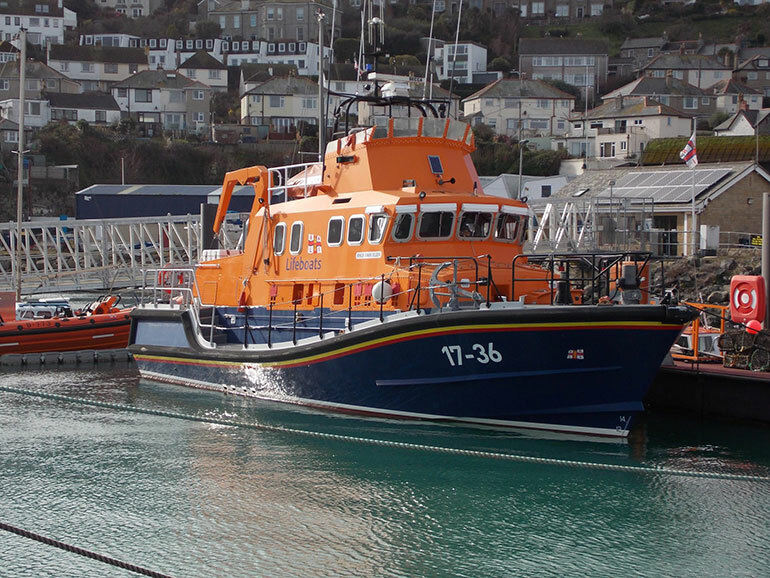 The crew at Penlee need your help to build a new Lifeboat Station. The current lifeboat station was built in 1983 and comprises office space, crew room and a small crew changing area. Unfortunately, now 31 years on, the station is no longer fit for purpose. With around 25 volunteer crew and additional shore crew as well as fundraisers, there is an urgent need for more space. The small crew changing room can see anything up to 10 volunteers changing at any one time and is simply not adequate. 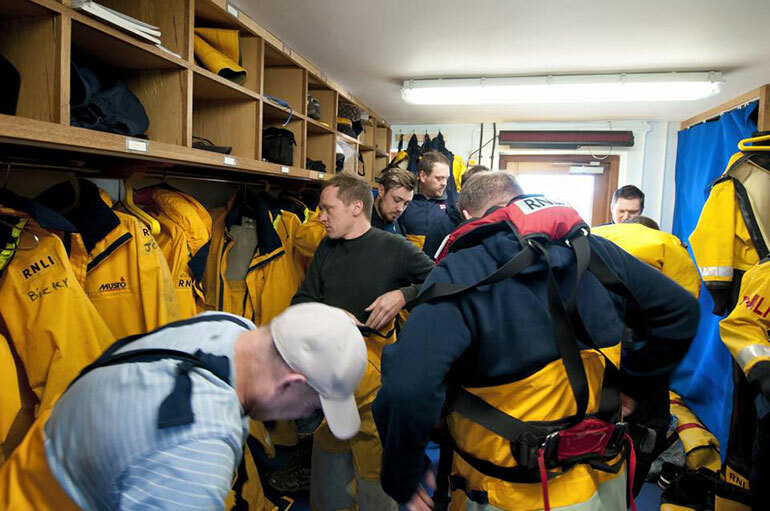 A dedicated crew training room is now essential as fewer RNLI crew are coming from maritime backgrounds and need access to an appropriate environment in which to complete the continuous training required in order to operate the charity’s state of the art lifeboats and navigation systems. Subject to planning permission, the new station will be rebuilt on the site of the existing boathouse. It will be a two storey building – twice as long as the current station – and will include a larger crew changing and shower room, a galley area and larger crew room where they can rest and get warm after a shout, a dedicated office, a visitor attraction and a separate training room. The training room will be available for use by groups in the local community working and training in the maritime area such as MCA, sea scouts etc. England rugby player, Jack Nowell, recently paid a visit to Penlee lifeboat station to show his support for the new appeal. Jack grew up in Newlyn and could see the lifeboat launching from the station from his window. You can follow Penlee Lifeboat Station on Twitter and Facebook. As part of 2014’s Newlyn Arts Festival, four artists took up residence in the village, creating work in various locations including The Fishermen’s Mission. The work, or documentation of their residency, is exhibited in the Studio Café at Newlyn Art Gallery. From 27 January 2015 to 7 February 2015, the exhibited artist is Faye Dobinson with “All at Sea”. Faye spent her residency sketching, talking and finding out about navigation from fishermen at The Mission. She listened to their tales and made small art works, ten of which were sent off in bottles (akin to a ‘message in a bottle’). 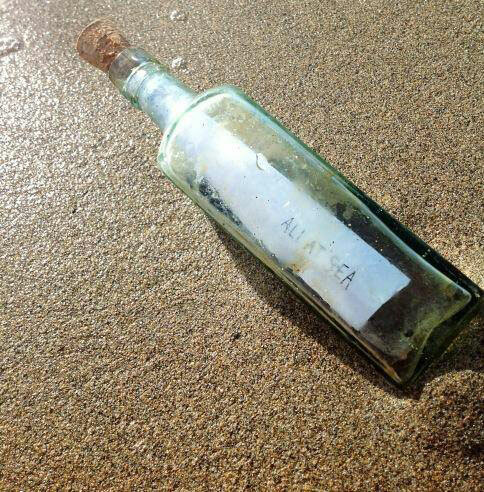 The work was sent out with the fishermen who threw the art from their boats at a point they believed would give the bottle the best chance of it travelling furthest afield. Faye will present some of her artworks and documentation relating to her residency. From 10 – 21 February 2015, the exhibited artist is Biljana Lipic with “Fishermen’s Hands”. 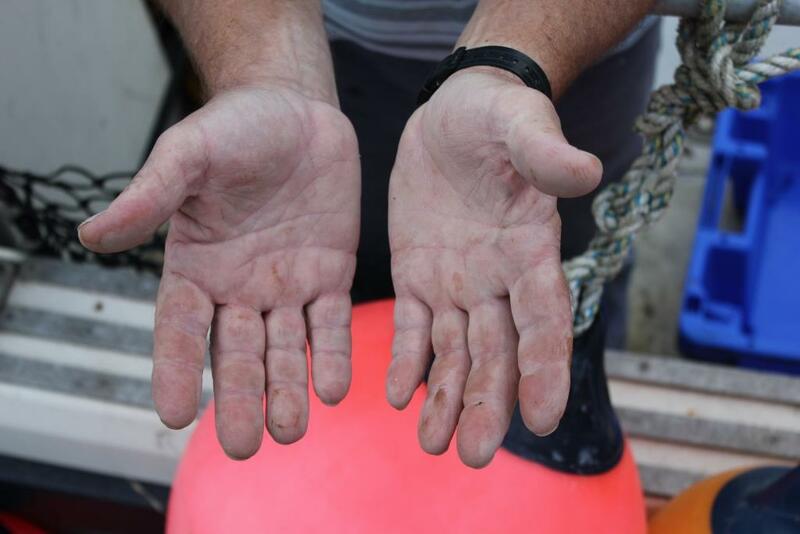 During her residency, using photography, Biljana observed and attempted to ‘catch’ the Newlyn fishermen’s individual characters and life stories, as embodied through their hands. She moved about the village to find the fishermen in their working and leisure environments. Her goal was to show in as personal and intimate way as possible, the work and the lives of these men who are also some of our last hunters. Call 01736 363715 or visit the website. Studio Café and shop at Newlyn Art Gallery are open Tue-Sat, 11am – 4pm, free admission, donations welcome. The galleries are now closed for maintenance work, reopening on Saturday 21st March 2015 with Bloomberg New Contemporaries 2014. 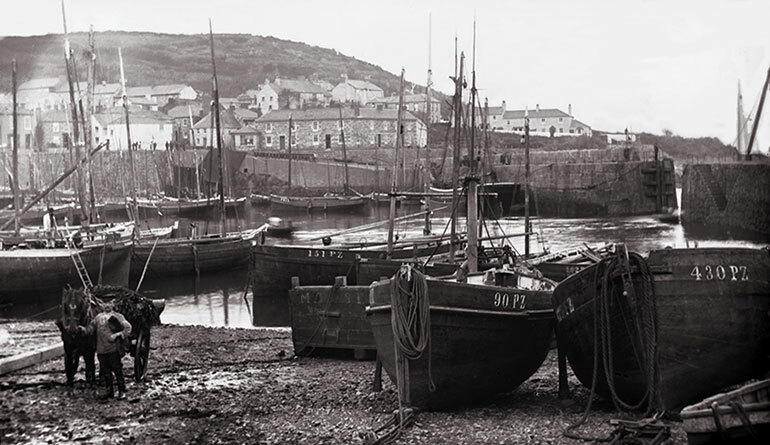 “Then and Now”, an exhibition of local photographs, is currently on display at the Penlee House Gallery & Museum, Penzance. Curated by the Penlee Photographic Research Group and sponsored by the Queens Hotel, it follows the trail of a visitor to the area in the nineteenth and early twentieth century. The series of photographs start at Penzance Railway Station, proceeds to the Queens Hotel and then takes us on various excursions to the surrounding area. On display are photographs taken by Gibson, Frith, William Colenso and a wonderful selection by Geraldine Underell which were donated to Penlee House. The Penlee Photographic Research Group have followed in their footsteps and taken pictures of many of the locations as they are now. 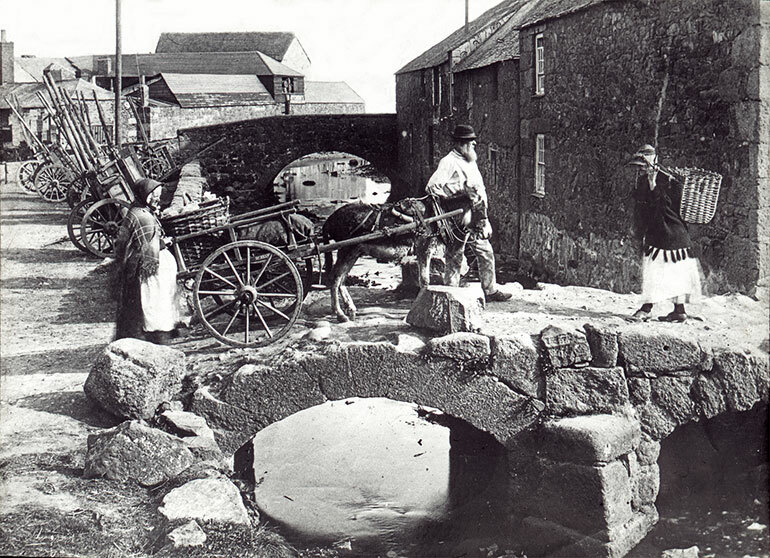 Newlyn, Mousehole, St Just and Zennor are just a few of the areas visited and, although places have obviously changed and buildings have been demolished and rebuilt, it is surprising how instantly recognisable many of the locations still are. The black and white photographs are stunning and personal favourites are “Sea Dreams” and “Pat A Cake” taken in Mousehole in the 1940’s by Geraldine Underell. The exhibition runs until 21 March 2015 and a visit is highly recommended for anyone interested in the history of their local area.